Do you have sight loss or know someone who does? 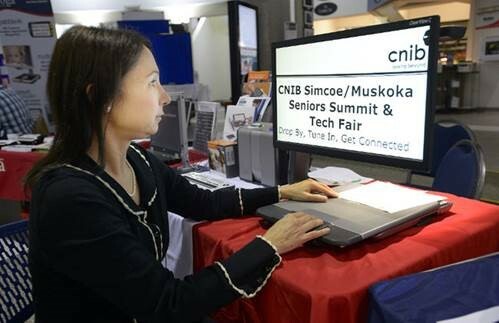 Join us at the CNIB Simcoe/Muskoka Technology Fair, Tuesday, October 24, from 10:00 am to 3:00 pm at the Community Wholeness Centre, 59 Maple Ave. in Barrie. Attend this FREE event and you’ll access all the leading vendors of assistive technology for people with sight loss in one place, at one time and discover the latest high and low-tech assistive devices currently on the market that will make life easier. Learn more about Canadialog products and services and come meet our dynamic team at the next CNIB Simcoe/Muskoka Technology Fair. Next post: What is low vision?